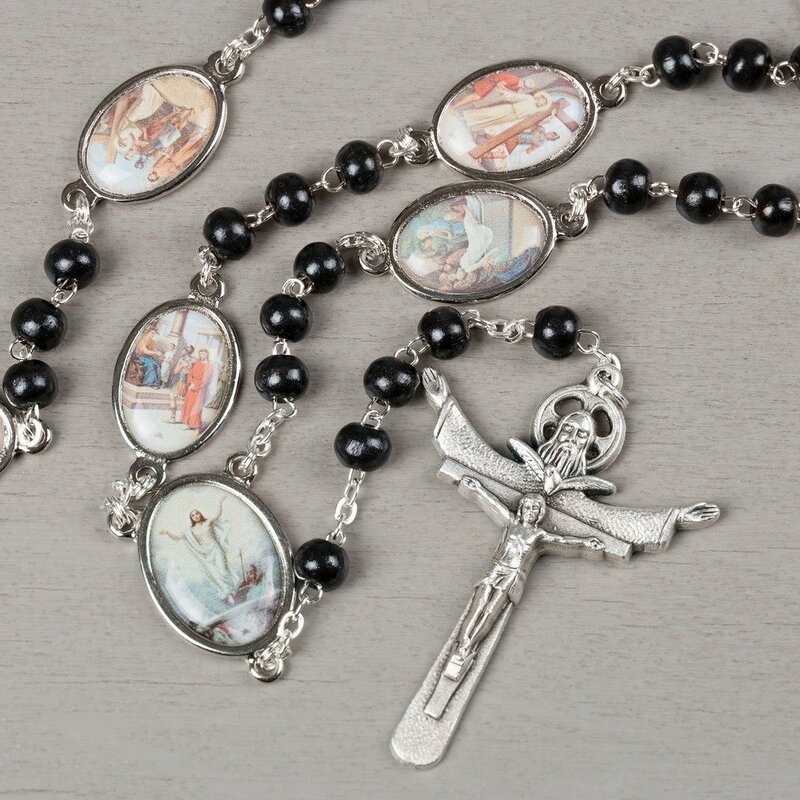 This beautiful black wood bead Stations of the Cross Rosary (actually a chaplet) contains full color representations of the 14 Stations of the Cross illustrated on each interlocked full-color oval pendant, concluding with the Resurrected Christ centerpiece. Each of the 14 station medals have the station number engraved on the back and are separated from each other with three smaller beads. The resurrection is featured at the center. The crucifix is very unique in that it also depicts God the Father and God the Holy Spirit along with the crucified Christ, thus representing the Holy Trinity. The Way of the Cross is a wonderful prayer and meditation on the Passion of Christ that is ideal for a Friday penitential practice, especially during Lent. It is intended to roll around as you pray and sometimes you will be able to see the number, other times, you are able to see the picture.